Selenium (Se), an essential trace element and potent nutritional antioxidant, exerts its biological effects through incorporation into selenoproteins like glutathione peroxidase (GPx). Modest decrement in the levels of GPx could be partly responsible for peroxidation of RBCs, which results into hemolytic anemia. Therefore, it is hypothesized that dietary Se, as selenoproteins (GPx), can maintain the homeostasis in RBCs and regulate the erythropoiesis by preventing oxidative stress-mediated hemolysis. 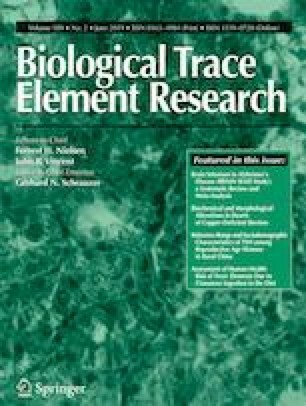 Se-deficient (0.01 ppm), Se-adequate (0.1 ppm sodium selenite), and Se-supplemented (0.5 ppm sodium selenite) status were created in Balb/c mice by feeding yeast-based diets for 8 weeks and established by measuring Se levels in plasma and activities, expressions of Se-dependent selenoproteins. 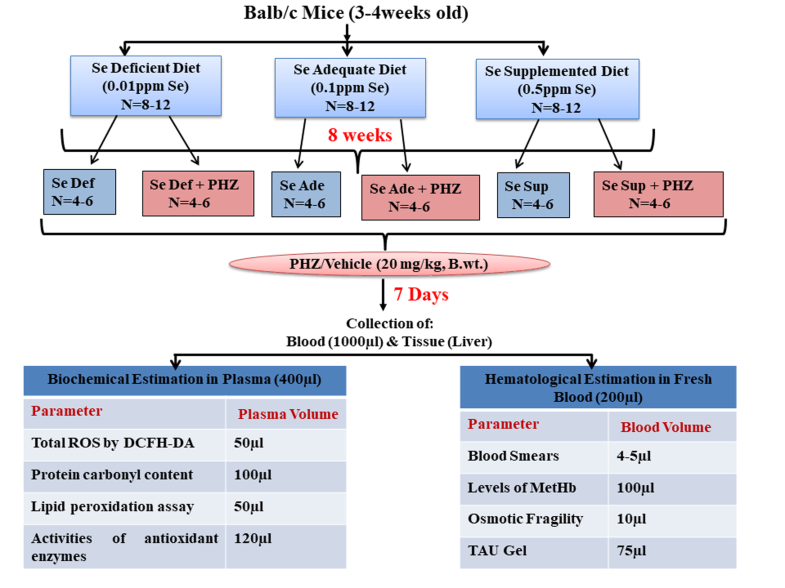 Fifty percent of mice from each differential Se group were treated with phenylhydrazine (PHZ, 20 mg/kg, i.p.) to induce hemolytic anemia. Results indicated that PHZ-treated Se-deficient animals demonstrated increased hemolysis, abnormal RBC morphology, increase in Heinz bodies and reticulocytes, and denaturation of hemoglobin to globin precipitates and methemoglobin. Se supplementation protected against these hemolytic changes and makes RBCs less fragile. These findings were consistent with dietary Se concentration-dependent changes in activity and expression of GPx indicating that ROS-mediated oxidative stress is integral to hemolysis. Protective effects of Se supplementation against increased levels of ROS, protein carbonyls, and peroxide damage to membrane lipids and enzymatic antioxidants validated these observations. In conclusion, dietary Se supplementation protected the RBCs against hemolysis by mitigating ROS-mediated oxidative stress. The online version of this article ( https://doi.org/10.1007/s12011-018-1483-y) contains supplementary material, which is available to authorized users. Research reported in this publication was supported by the UGC-SAP (F.4-1/2015/DSA-1 (Sap-II)) and DST-FIST (SR/FST/LS1-645) programs sanctioned to the Department of Biophysics, Panjab University, Chandigarh (160014), India, by the University Grants Commission (UGC), Govt of India and the Department of Science and Technology (DST), Govt of India, respectively. The financial assistance to Panjab University by DST through DST-PURSE program is also duly acknowledged. All the experiments were performed in accordance with the guidelines of institutional ethical committee of Panjab University, Chandigarh.